JUST REDUCED! 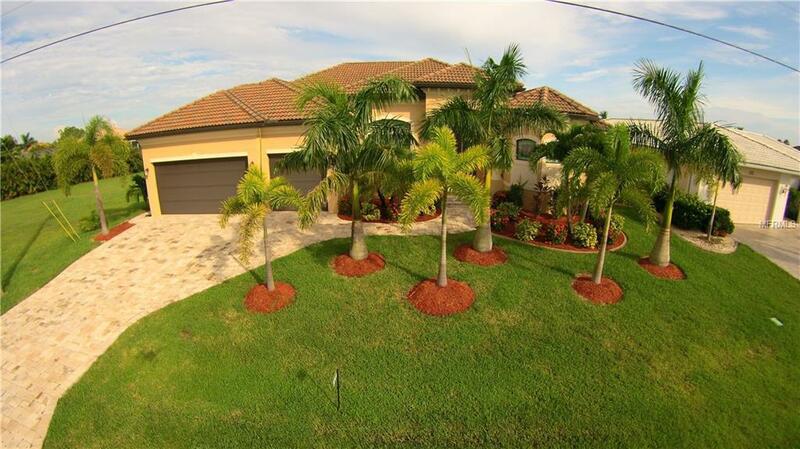 Why build when you can move right into this 2014 tastefully appointed 3 bedroom, 2 bath sailboat waterfront pool home with 3 car garage. Plenty of room for family and friends with almost 2,200 square feet of living space, formal living and dining, and eat in kitchen. Located in the waterfront community of Burnt Store Isles this open floor plan home offers impact resistant windows, custom closets, crown molding and coffered ceilings with accent lighting, color accent walls, plant shelves, decorator light and fan fixtures, plantation shutters and custom window treatments, dedicated laundry room with additional closet pantry, irrigation system, and security system. Great water view with zero corner sliding doors allowing the lanai and pool area to be an extension of your living area. 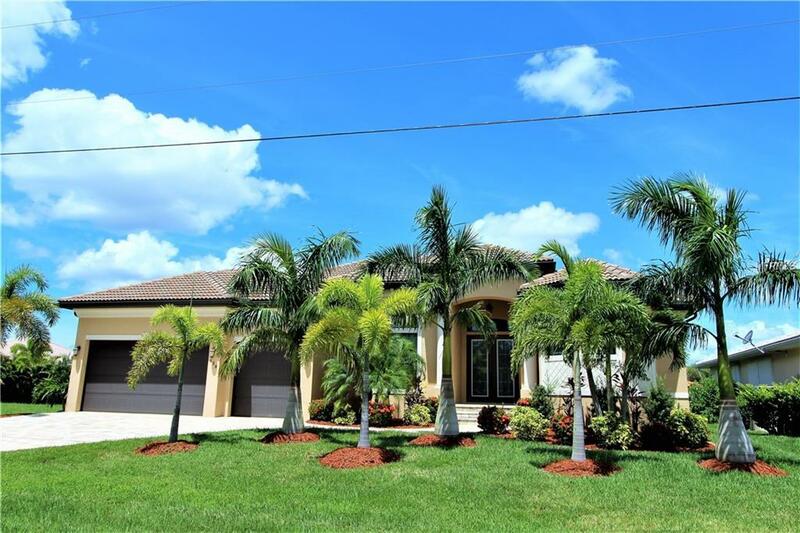 Gourmet kitchen boasts island, stainless appliances including 3 door refrigerator, granite counters, tile back splash, staggered custom wood cabinetry with soft close drawers, pantry, and breakfast bar opening to the breakfast nook and great room. Master suite has tray ceiling, 2 custom walk in closets and spacious private bath with dual sinks, make up vanity, and huge walk through Roman shower. Beautiful heated PebbleTec pool with brick paved deck and 2 seating areas with custom wood ceilings overlook the wide waterway. Concrete dock with boat lift, so bring your boat! 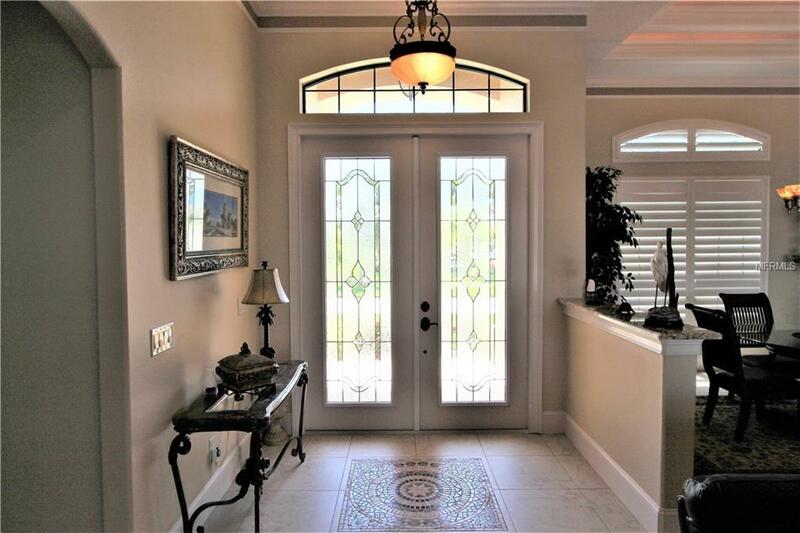 Stunning curb appeal w/ paver driveway and walkways, mature landscaping and palms, curbing, and arched entry with custom etched glass double doors.